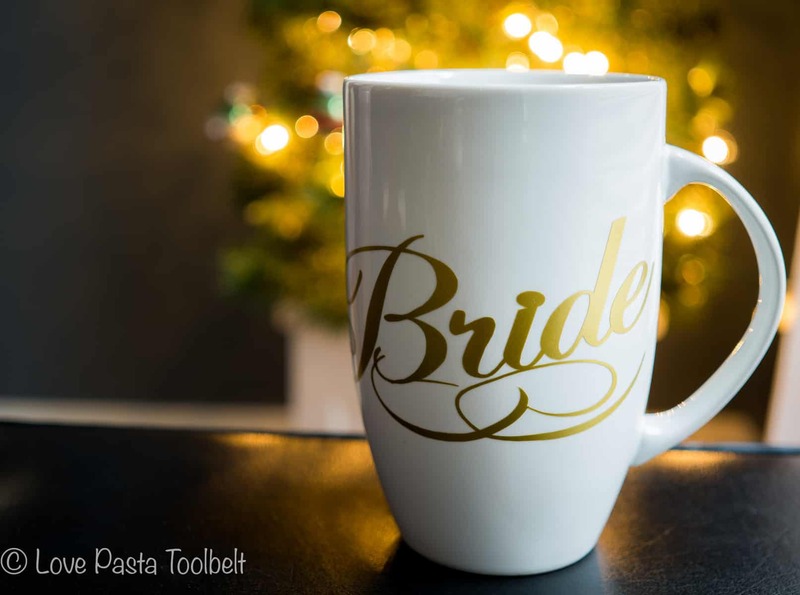 Have a bride-to-be in your life, make this DIY Bride Mug for a fun gift! 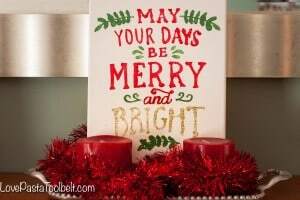 If you read my wrap up of 2015 then you saw that my brother got engaged and is getting married in 2016! I am so excited to have a third sister and to celebrate them. When I was trying to decide what to get my future sister-in-law for Christmas, I decided to go the homemade route with one of her gifts. Since I know she loves to drink hot tea and coffee I decided to try my hand at using my silhouette on a coffee mug. 1. Download a Bride design in the Silhouette store or design your own. Since I was a bit last minute with finishing my gifts I decided to download a design to make it easier. 2. Measure the space on your mug where the design will go then set your page size to match it and add your design. 3. Cut your design with the Silhouette and be sure to click double cut so your design will be completely cut. 4. Weed your design and then transfer your design to the contact paper. 5. Place the contact paper with your design onto your mug and press firmly. 6. Slowly peel back the contact paper and viola your mug is ready! Now be sure to let the recipient of your mug know that with the vinyl on it it’s not dishwasher or microwave safe. I loved making this for my future sister-in-law. 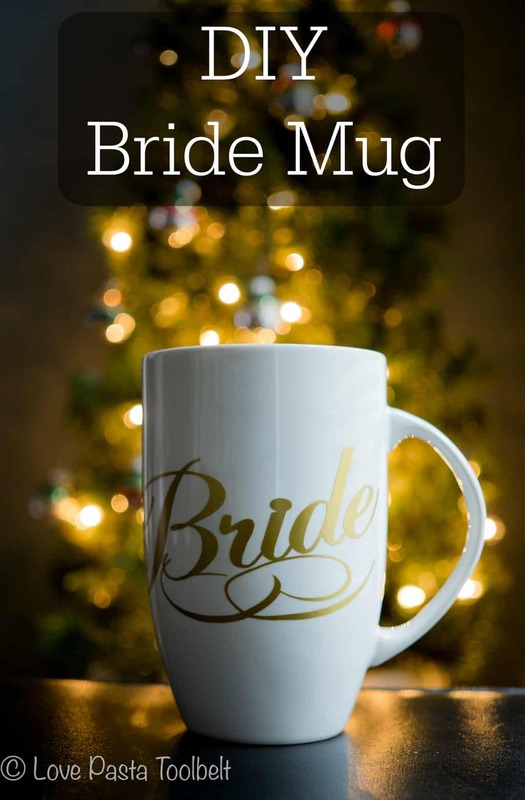 I opted to put bride on it rather than bride-to-be that way she can continue to use the mug even after the wedding. I loved making this mug and using the gold vinyl really added a fun touch rather than going with regular black. I love how it turned out and making mugs will be a great gift option in the future! Have you ever made a mug gift? And do you have a Silhouette? If not then you should check out getting one, it’s completely changed my crafting game. 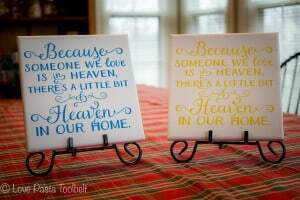 Check out these other fun Silhouette projects I have done! Sweet! thanks for sharing on craft schooling Sunday, hope to see more from you in the future! Love the mug. I am trying to decide between a Circuit and a Silhoutte. I certainly need the one that is easiest to operate because I have never used one. 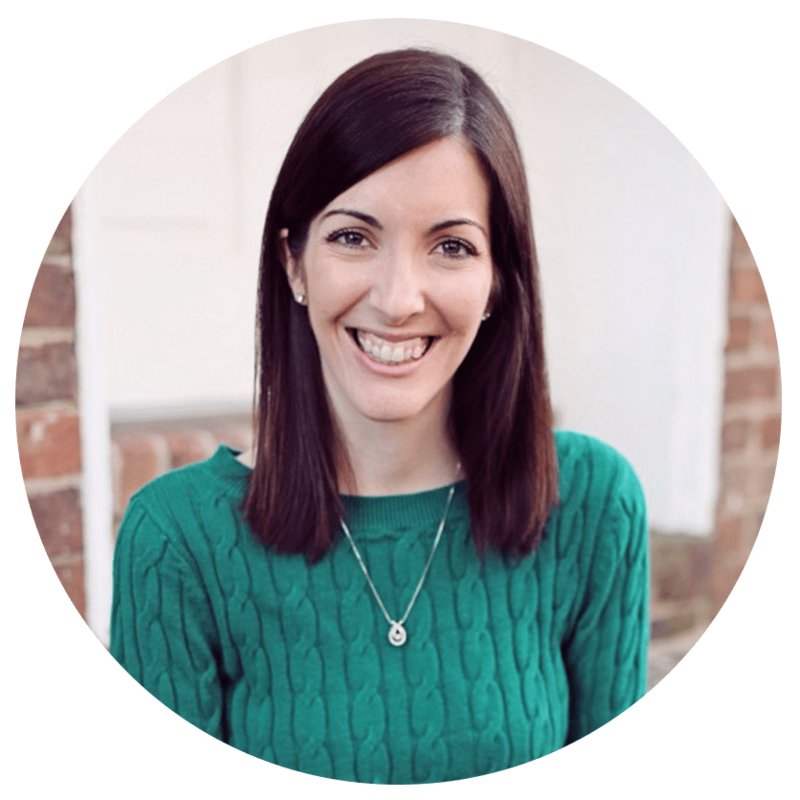 Found you on Home Matters Link Up and happy to connect. Thank you! I don’t have any experience with the Circuit but I’ve really enjoyed my Silhouette. I had no clue when I got it and there are tons of helpful tutorials online to help you figure it out! Saw this beautiful mug at Pintastic! It’s gorgeous!!! What a fun idea! I need to make one of these for my husband’s cousin. Pinning. I love this and it looks so professional! I think I might have to get one!! Thanks so much for sharing this with us at Throwback Thursday! Adorable! Love how your diy turned out. Thanks for sharing at the Inspiration Spotlight party. Pinned & shared. Hope to see you again soon.